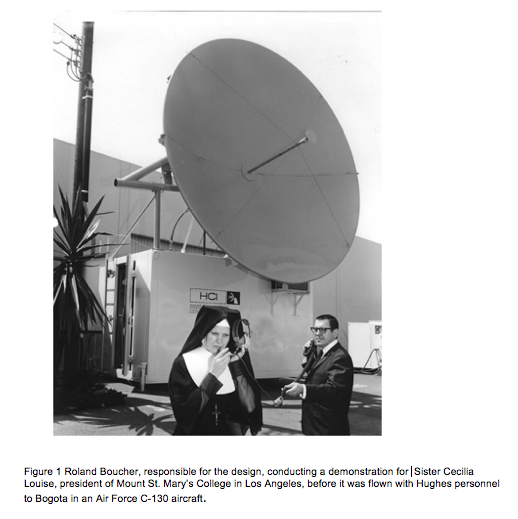 This Hughes mobile satellite ground station was designed and built in 30 days to transmit live color television coverage of Pope Paul VI’s visit to the Eucharistic Congress in Bogota, Columbia in 1968. 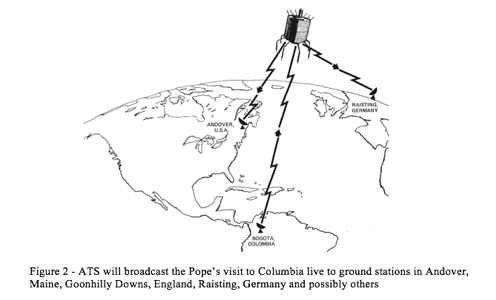 In the spring of 1968 Hughes was asked if it were possible to broadcast, through a satellite, the upcoming visit of Pope Paul VI to Bogota, Columbia. 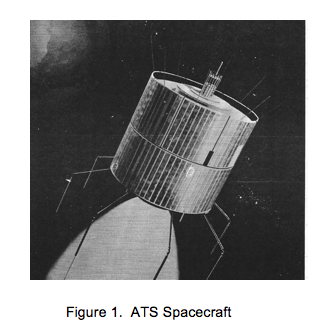 The Early Bird satellites operated by Comsat were considered but they required an 85-foot ground antenna. Time and cost precluded this approach. 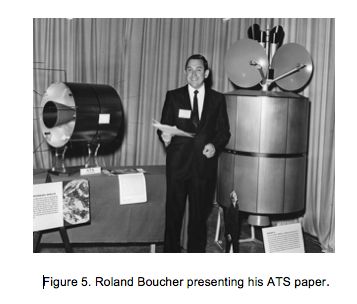 We were about to say NO then I suggested to the group that ATS-3 with is high gain receiving antenna could be used allowing a much smaller 15-foot diameter antenna. The Hughes Ground Systems Group had just completed a prototype 10,000-watt transmitter. If it could be made available we had a chance. I also suggested that the terminal contain a VHF communication set in case the telephone service from Bogota to Hughes California prove unsuitable. NASA agreed to make ATS-3 available, and one month before the expected arrival of the Pope in Columbia we were given the go-ahead. Time was short; I moved my office into Lou Greenbaum’s shop and began work. We needed almost immediate shipment of all components needed to build the terminal. Lou and I drove to Fullerton to inspect the transmitter; it was OK so I asked that it be shipped to Lou’s shop that week. The first problem came up the next day when the Purchasing department announced that no military terminal structure was available in less than six weeks. They said a garbage truck tilt up box could be made available in one week. I said buy it, and tell them to put the ribs on the inside, panel it with mahogany plywood, and provide a strong roof and a door on one end. Next, I was told that the only 15-foot antenna available for immediate delivery was from Gabriel’s Horns in New Hampshire. I remember saying, “BUY IT! God must be on our side”. 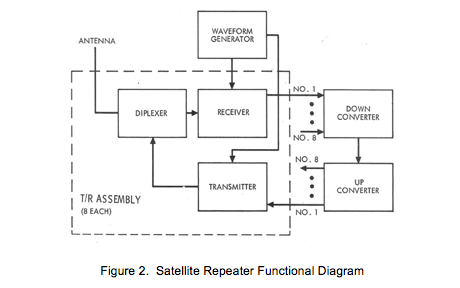 Tom Hudspeth loaned us a prototype ATS spacecraft up and down frequency converter and the FM video modulator used to transmit Spin Scan Camera video. I borrowed a Boonton signal generator from the equipment pool to provide the FM voice subcarrier. We borrowed the prototype of the VHF terminal installed on the Coast Guard Ice Breaker Glacier and built a 3-element Yaggi antenna to talk to Hughes from Bogota in case the phone lines were not reliable. When the Fullerton transmitter was installed it would trip off in seconds after turning on. This went on for about a week then I asked the technician Fullerton sent to install the transmitter, “What did you do different — it was working in Fullerton”. He told me that nothing was changed except the directional couplers use in Fullerton had been borrowed so he installed new ones. 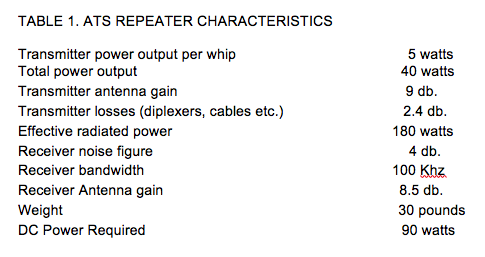 I asked if he was careful to get the directional arrows on the directional couplers pointing in the right direction and he replied “what arrows?” In ten minutes the transmitter was working again. We tested the station, tracking the satellite, which was not perfectly stationary. At first glance, one might think that we were forced to transmit blind since we could not possibly receive video on a 15-foot antenna. Fortunately, the video signal has a very large amount of energy in the blanking pulse and this is transmitted at the 30-hertz frame rate. We tracked the ATS-3 using this narrow band signal and plotted optimum antenna pointing angles with two carpenters tape measures mounted to the antenna gimbals. Later in Bogota we used the VHF link to talk directly with the NASA ground stations to verify signal saturation levels in the spacecraft. The station was flown to Bogota in a USAF C-130 and set up in less than one week. Figures 3 and 4 show the terminal in operation in Bogota, Columbia. The 15-foot antenna was dropped and dented during assembly in Bogota. We found a great body man who “made it all smooth again”. He was right and it worked. The Italian cameramen who accompanied the Pope had set up their control trailer next to our terminal. Early test using their video signal showed a troublesome amount of 60-cycle hum. When this was pointed out, the Italian technical guy suggested that we tie both trailer and terminal together and drive a stake in the ground between them establishing a common ground. He also suggested that we disconnect the ground at the local power distribution transformer establishing the stake between our stations as the only ground. It worked. After the successful transmission of the visit of the Pope to Bogota the first mobile satellite transmitting station went to Persia to transmit the 2500th anniversary of the Persian Empire in October 1971 to the world, then on February 5, 1972, a C-130 flew it to China for the historic visit by President Nixon . 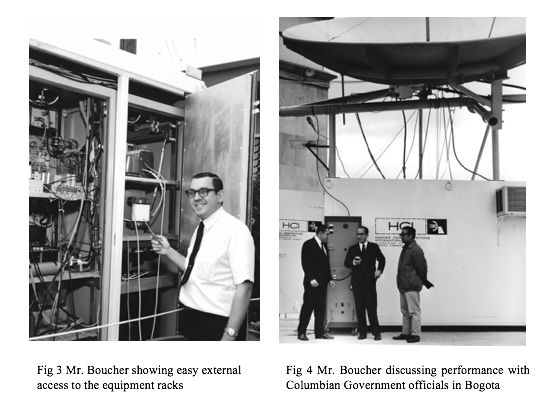 I would like to thank The Bogota team which included Al Koury, Jim Burns, Jack Clarkson and Bernie Burns as well as those nameless others in Lou Greenbaum’s Satellite Command and Control Department who were vital in completing the terminal in 30 days. 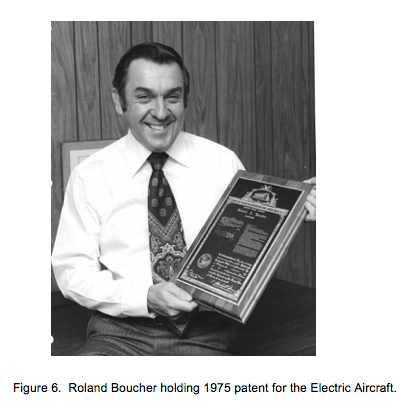 I would also like to thank Howard Ozaki who provided the tunnel diode low noise receiver amplifier, Clovis Bordeaux Hughes Fullerton who provided the 10-kilowatt Transmitter, and especially Tom Hudspeth for his many valuable suggestions and “Loans”.